About 1:15 p.m. on Friday, November 22, 1963, duty placed Dallas Police Officer J.D. Tippit near the corner of Tenth and Patton streets in the Oak Cliff section of Dallas. 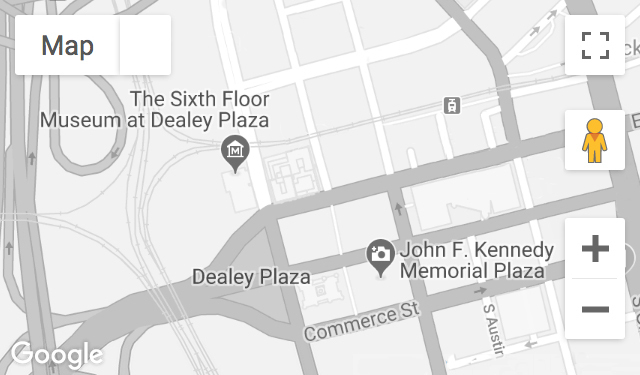 Forty-five minutes after shots were fired at President John F. Kennedy’s motorcade in Dealey Plaza, Officer Tippit was shot and killed by Lee Harvey Oswald while attempting to question him on the street. The tragic loss of Officer Tippit was overshadowed by the assassination of President Kennedy and then the shooting of Oswald two days later. Now, after 50 years of avoiding the spotlight, his widow, Marie, makes a rare public appearance on what would have been J.D. Tippit’s 90th birthday, on Thursday, September 18, at 7 p.m. Tickets are $10 each. Advance tickets are recommended and may be purchased online at www.jfk.org. Tippit, an Army paratrooper in World War Two, married his high school sweetheart and they had three children. His Dallas Police career started in 1952 and Officer Tippit received the department’s Certificate of Merit Award. Hugh Aynesworth will have a personal conversation with Marie Tippit, as she recounts first hearing the tragic news, the ordeal of his public funeral and raising her children alone. Hugh Aynesworth, then a reporter for the Dallas Morning News, was an eyewitness to the assassination, the arrest of suspect Lee Harvey Oswald, and Oswald’s murder by Jack Ruby. Aynesworth was also in the first group of reporters at the Tippit shooting scene. Later he was an investigative reporter for Newsweek, the Dallas Times Herald, ABC’s 20/20 and The Washington Times. Aynesworth is the author of JFK: Breaking the News and November 22, 1963: Witness to History, among other books.